The NIKKEN 3 Angle Clamper provides interchangeable adaptor sleeves to allow for differing flange diameters. The system is based on applying cylindrical grip around the main tool flange so is fully compatable even for tool holders without drive keys. 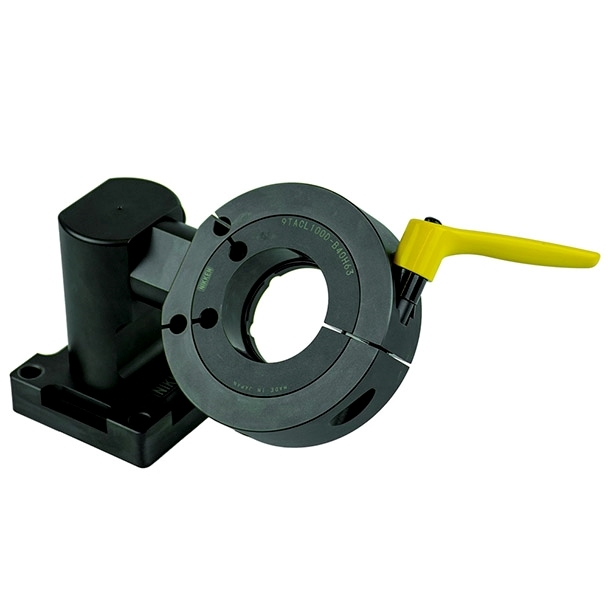 The clamping ring is rotatable through 3 angles to allow you work on your tools in comfort and in multiple orientations.